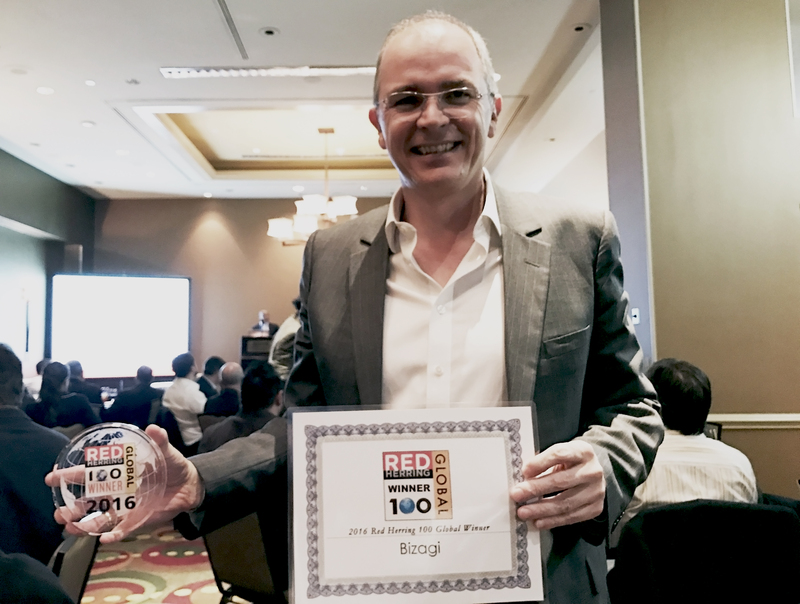 San Francisco, CA — Bizagi today announced that it has been selected as one of the Top 100 leading private companies in North America, Europe and Asia. Red Herring announced its Top 100 Global, celebrating these startups’ innovations and technologies across their respective industries. “Our Digital Business Platform supports business and digital leaders in taking on the most significant operational challenge they face right now–digital transformation. We receive this accolade as a recognition that our software, services, partners and community have a great deal to offer organizations in every industry around the world.” said Gustavo Gomez, CEO Bizagi. Headquartered in the UK with operations across North America, Europe and Latin America, Bizagi is a global leader in digital process automation software. Bizagi helps ignite the digital transformation programs of more than 500 enterprise customers across 50 countries around the world, assisted by an international network of partners and a global community of over 500,000 process pioneers. For more information, please visit www.bizagi.com.